In a regular feature, V8 Supercars personalities open up to our probing pundit in a rapid-fire format. 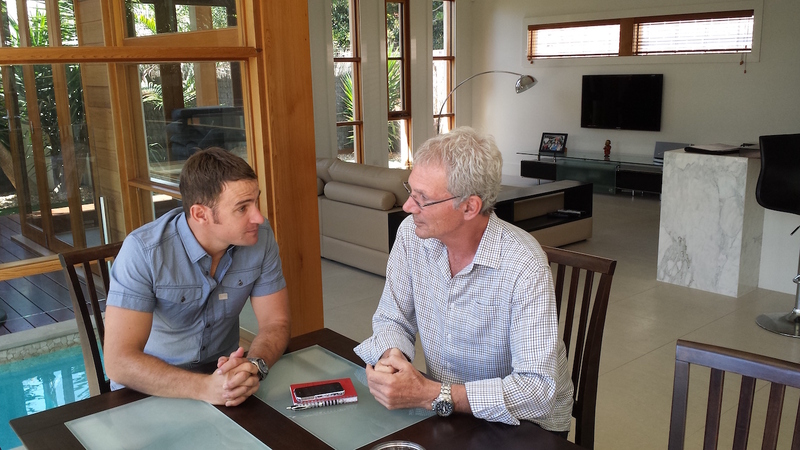 The latest is peripatetic pilot Will Davison, who has landed on his feet at Team Darrell Lea Stix in his fourth move in eight seasons. Never lost for words, Davo exceeds the nominal time limit in an outpouring of honesty and introspection. MF: A third, an unofficial pole and a win. You couldn’t have expected that sort of haul before you went to Symmons Plains, could you? WD: It definitely exceeded my expectations going into the weekend. But, to be honest, I was massively focused going into Tassie. I was pretty disappointed with the way the first couple of events panned out – some of it just through circumstance and some of it by generally not quite having the feel I needed out of the car. I was just thinking about it every day, every night, trying to make sure I could start getting a few runs on the board in Tasmania. So, yeah, putting a lot of pressure on myself this year and it is a big relief to get that sort of result nice and early in the year. It just takes a bit of pressure off now and gives us some momentum to build on. A fantastic weekend and very rewarding in many ways. Was your speed there surprising? Yes and no. I had a feeling we’d be quite quick, but when you haven’t had that sort of genuine pace for a couple of years, you can’t help but be pleasantly surprised. But I’m never cocky enough to go into an event, particularly at this stage, that confident that we’re going to be that strong. So as the weekend unfolded, it was one pleasant surprise after another. Being in a genuine battle at the front when you have competitive car speed is what I’ve craved for. In the last two years, I was just getting driven away from. I couldn’t dream of staying with the leaders. And now here you are, nice and relaxed, in a great zone, and just hunting people down. It’s just a funny sport the way it works, so to be honest, you can’t not be a little surprised when you have such great car speed again and it seems relatively effortless. As you said, Adelaide and Albert Park were disappointments, then on top of that you had (internationally experienced team manager) Steve Hallam’s shock departure. Were you wondering at all if you’d jumped out of the frying pan and into the fire? No. I mean, you have to look at the move to TEKNO for what it was and you have to look at the opportunities that were there. I had to go with the best possible opportunity for myself and I’m very, very confident that that still is the case without Steve. Sure, he was an asset and to work with him was an attraction, but certainly not by far the be all and end all of the deal. It’s not just get a car from Triple Eight and happy days, away you go. As soon as you arrive at TEKNO, you quickly realise it’s not that simple. There are still a lot of things that the TEKNO staff and engineers and mechanics do that set them apart from Triple Eight. A lot of that is thanks to Steve, but there are a lot of guys that were there long before him who are also very, very responsible for the results the team gets. But, yes, Steve leaving was a loss, particularly so early in my relationship. It wasn’t really the news I was expecting to hear, but I’m not stressed about it. After your win at Symmons, you remarked that you had big shoes to fill, meaning as SVG’s replacement. Do you feel comfortable in those shoes? I do now. It’s important for me because while I never doubted that I could, that doesn’t matter until you’re getting the results. That’s all that matters, so reaffirming that belief so soon is great. I don’t think anyone in there doubted it, but it’s nice to have validation. It’s a good way to completely move on from the past for the whole team. It shows the team still means business with a new driver, that nothing’s changed. It’s certainly a relief for me to achieve those results relatively early. Results are always important in a new relationship with a team. It’s good to be able to prove myself again. 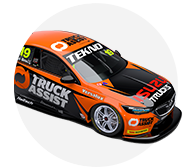 TEKNO’s your fifth V8 team, leading to suggestions that you’re disloyal. Are you? No, definitely not. I regard myself as quite a loyal person and if people were able to know the true details of each situation, it certainly isn’t me being disloyal. I’ve generally had good relationships at each team, but there have been just a couple of key issues that have derailed contract negotiations and certainly not a matter of being disloyal. My moves have been due to circumstances and now I’m doing whatever I can to try to just get myself back into a position to show that I’m not over the hill yet. Hopefully, I started that transition in Tasmania. What are you expecting at Phillip Island? Again, I’m not going in overly confident. Obviously, we’ve raised the bar and I’d be lying if I said I don’t have a different set of expectations, but I’m just trying to keep a lid on it. Until I can back this up at three or four different types of tracks, I’m certainly not going to get overly excited. But, yeah, you can’t hide from the fact that Red Bull Racing was 1-2 there late last year and while we have a slightly different car to them, I’m expecting the car should be quite competitive. I’ll be very, very interested to get there and very, very desperate to just carry across some top five form. For much more from Davison about how he became a reluctant V8 vagabond and why he sees a long-term future with TEKNO Autosports, see his big interview with Foges in next week’s issue of Auto Action magazine, out Thursday, April 21. 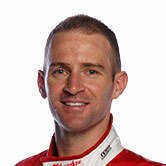 Award-winning journalist Mark Fogarty is Fairfax Media’s motor sport writer and editor-at-large of Auto Action. ‘Foges’ is famous for his incisive interviews.